Can PRP and Stem Cells Help? A study looking at the amount of knee cartilage volume on MRI scans reflects what may be obvious in that men have significantly larger knee cartilage volume than women. She was found to be independent of body and bone size. The exact implications for these findings have not been thoroughly evaluated. However, women who are overweight have potentially larger increased incidence of having the development of knee arthritis and it has been shown that by decreasing weight, the overall effect on functional level and pain are dramatically improved. Dr. Lox has implemented a variety of strategies to help address knee pain and trying to address factors that will decrease progression of development of arthritis. It can be particularly important. Dr. Lox comments that if potentiating factors are addressed, the impact that chronic knee pain debility and the associated negative health factors that occur as a result of debility may be possibly affected. 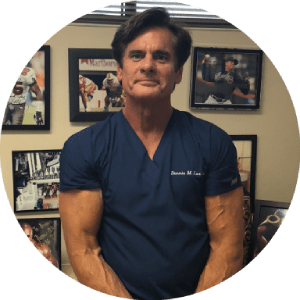 Strategies addressing regenerative medicine through platelet rich plasma (PRP), stem cell therapy, and research have all focused on various factors to address knee joint pain and arthritis. Research on stem cell therapy as an alternative to joint surgery and joint replacement has been a focus of intense interest. By averting progression of arthritis, pain and loss of joint function may be averted.